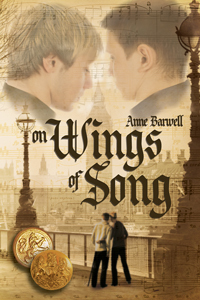 Today my guest is Anne Barwell, here to talk about how music plays a role in her writing, and especially in her new title, On Wings of Song. 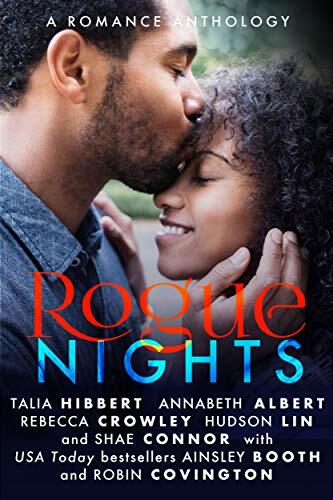 My stories often have some kind of music reference in them, whether it is that the characters are musicians—Simon, Sean, Kristopher and Michel—or it plays a larger part in the plot such as in Winter Duet, Cat’s Quill, and Slow Dreaming. In On Wings of Song, both of those elements combine to become a big part of the story. When I first got the idea for the story, I knew that one of the characters, Aiden, would be involved in Music Hall. I’ve played for the modern equivalent, Musical Theatre, as rehearsal pianist, and also as a violinist in the band for shows. One of the shows I was involved in celebrated Music Hall and the music of that time. Another was an ANZAC commemoration. I also played piano for church in Christmas services for many years, and so having Aiden sing for the combined service during the Christmas Truce was also a given. One of the bonuses about writing a story set in the early part of the 20th century is that a lot of the lyrics are out of copyright. The music Jochen hears when he attends a performance at the Avery Theatre are actual songs of the time—and earlier. The library had a wonderful book: Edwardian Song Book – Drawing-room ballads 1900-1914 from the catalogue of Boosey & Co – selected and introduced by Michael R Turner and Antony Miall. As well as containing sheet music so I could play the songs and hear them, it had a brief history of them and their composers. With the first and last chapters set around Christmas, it was also an opportunity to use Christmas Carols. I didn’t want to use the same one twice, as the story needed to move forward, not backwards. In the finish the songs chose themselves and worked perfectly for Jochen and Aiden and where they are in their lives at each point of the story. During the Christmas Truce, many men exchanged uniform buttons, as Aiden and Jochen did. However, it’s not the physical reminder of their meeting that keeps Jochen going through the horrors of his war time experience, or the connection between himself and Aiden. It’s also the memory of Aiden’s singing, and how it touched him. Music and literature are the song by which Aiden and Jochen meet, but six years later both of them have changed. The war has exacted a high price on both of them. In different ways they have both lost the music within them. Because of this, in order to find each other, they will first need to find themselves.